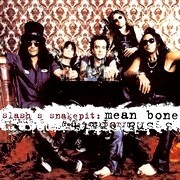 Recorded in 1999 with Jack Douglas on production, this second album was initially announced for February 2000. 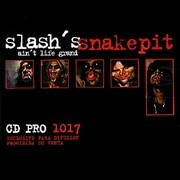 But as Slash's Snakepit changed label, Ain't Life Grand is finally released at the beginning of October. 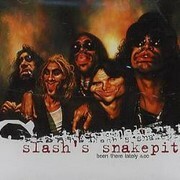 Slash: lead & rhythm guitars, six-string bass on "Been There Lately"
Ain't Life Grand cover artwork has been released by ConArt, a graphic company owned by Slash's brother. The song Slash is the most fond of playing live is "Been There Lately" is one of the favorite Slash. Slash had a hard time finishing the recording of "Shine" and was about to give up on certain parts when he finally made them sound the way he had in mind. Originally titled "Break You", "Back To The Moment" was written by Ryan Roxie and Rod Jackson. Matt Laug wrote most of the guitar parts of "Landslide". 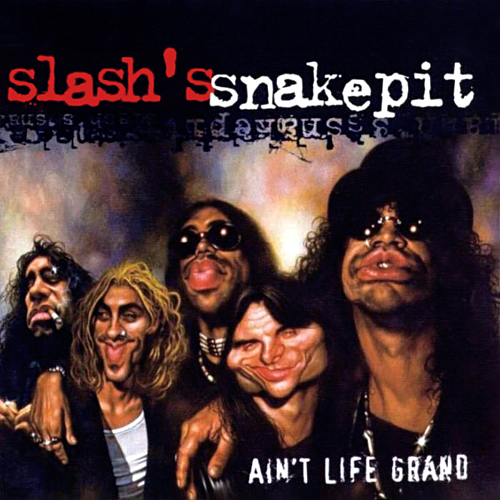 "Ain't Life Grand" is the first song Slash and Rod wrote together. 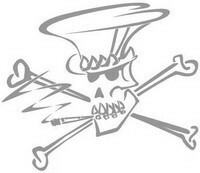 Slash composed the riff of "Speed Parade" to be used for the pinball machine Viper Pinball. The first promo version of Ain't Life Grand featured two unreleased tracks: "Breed" and "What Kind Of Life". 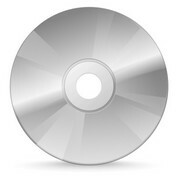 The Japanese version of the album contains two bonus tracks: "Rusted Heroes" and "Something About Your Love". Ryan Roxie plays the second guitar solo of "Rusted Heroes". 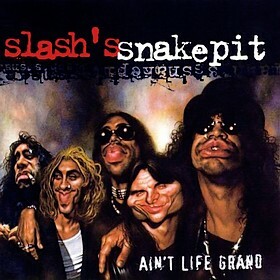 Seven months after its released, Ain't Life Grand sold 28,000 copies in the U.S.A..